Our latest supplier interview was with Meghan, the founder of Theonista. Her and her team make the most delicious kombucha’s from their small production kitchen in Woodstock. We got to pick her brain about all things kombucha and more! “Theobroma” comes from the Greek name for the cocoa tree and means “food of the gods” probably because chocolate is, well, exactly that. “Theonista” is derived mainly from that word, with a little hint of the feminine and the revolutionary thrown in for good measure. What inspired the start of Theonista? I’ve always been drawn to health food. I found kombucha in my early 20s while I was trying to find ways to address years of digestive issues despite nearly a decade on a pretty clean plant-based diet, and I found it was a really powerful healing tool for my body. For me, the connection to the product is very personal. The flavor of kombucha is unique and refreshing, and once you acquire a taste for it, nothing else really scratches that itch. When I arrived in Cape Town five years ago, I was excited to find kombucha but dismayed that what was available here didn’t have the same flavour profile I enjoyed, nor, most importantly, the health and energetic effects in my body. After about a month of striking out on my quest for a culture, I arranged for a SCOBY to be brought over from the US with a friend and that one tiny starter culture has now created a massive family tree of offspring in our brewery as well as all over South Africa via our homebrew kits. What are your future plans for the drink? Our main goal is to keep making the best kombucha possible, so all plans stem from that central goal. Despite very dramatic growth in the past couple of years, we have maintained our small batch, completely manual brewing and bottling methods primarily because they have consistently yielded the best results in terms of quality. That said, innovation definitely has a vital role in any business. For me that applies both to our production methods, as we are constantly challenged to increase our output of a truly artisanal product, and to flavours, because one of my passions is definitely creating interesting and absolutely delicious flavors! 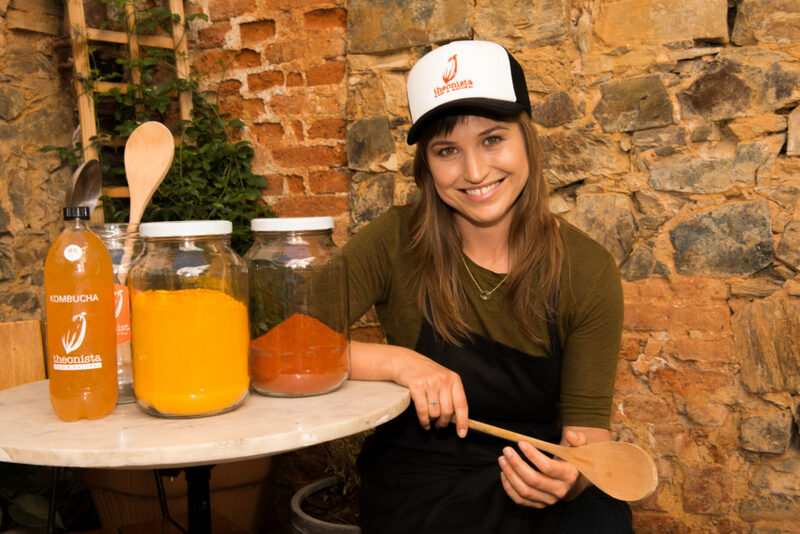 We are currently working to make kombucha on tap more widely available throughout South Africa, both as a healthier and non-alcoholic alternative to beer and liquor in bars and restaurants but also as a more affordable offering in health shops, ideally with the option of using a refillable growler or other reusable packaging. Our range has three sizes and around 10-12 flavours at any given time; we have a really extensive core range of 9 options right now but in the past year I’ve also introduced seasonal flavours (i.e. Summer, Equinox, etc) that allow me to offer new flavours using botanicals, spices, and fruits to create options that are seasonally inspired. This also means some of the flavours simply cannot exist outside a certain time of year depending on what is in season. 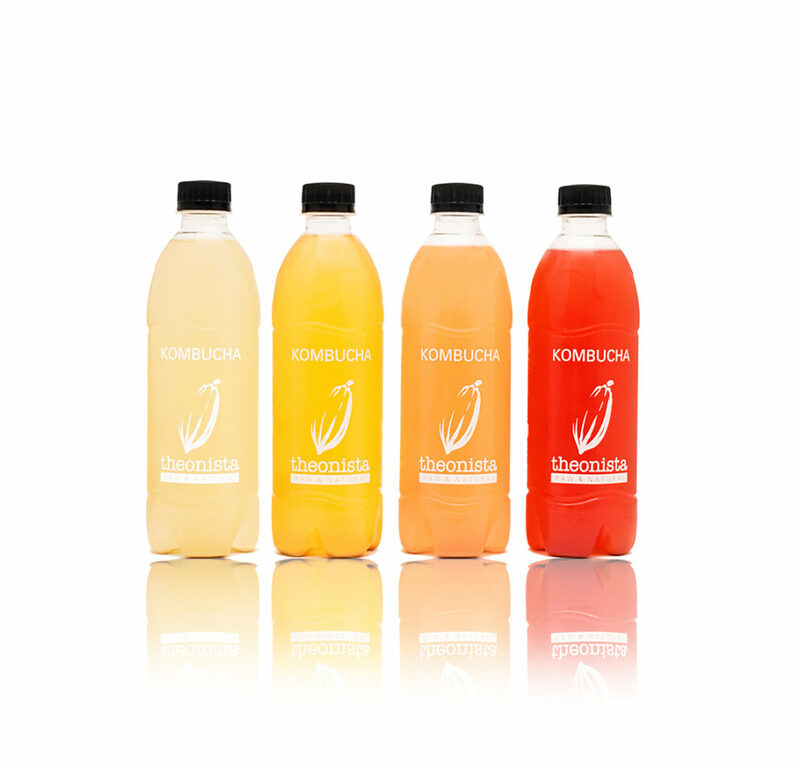 Purported benefits of kombucha include enhanced digestion, immunity, energy, skin & hair, and detoxification. Rumour has it that it’s also an excellent hangover cure. Traditionally fermented raw kombucha is full of living probiotics, organic enzymes, polyphenols, vitamins, minerals, and amino acids. How did you meet Anthony and Michael from Honest? I think the first time I saw them was at The Old Biscuit Mill. I don’t remember the first time I actually met them, but I remember them always being really forthcoming and supportive as another small food business, and I always appreciated that. They were so genuine and helpful about what they were doing, and in terms of that, I felt so comfortable asking them about connections and forming a synergy with other local businesses. How did you end up in the Café? Luckily Michael and Anthony are pretty aware of the latest food and drink trends, so I didn’t really need to introduce them to it or do a tasting and explanation with them. When they started the Café they contacted me – maybe the fact that my logo is based on a cocoa pod helped, too! What would your biggest piece of advice be for people who start their own business? It’s really hard, so either you have to love what you’re doing it for, or the process, or hopefully both. It’s a fun and intellectual challenge; it’s not something to do if your motivation is money. For a small business owner, you have to believe in something to get you through, whether it’s yourself or your product. Also, don’t be afraid of doing things your own way. Innovation doesn’t come from following an existing model. Theonista kombucha is available at our Chocolate Cafe, as well as selected Spars, Wellness Warehouses and online via Faithful to Nature.